Warehouses and red brick factories, reconverted into new studios for artistic creation. The futuristic Agbar Tower and its controversial blue and scarlet geyser shape. Narrow chimneys still holding out here and there… Walls of abandoned plots covered with works from urban artists like Dr. Hoffman or Vegan Bunnies. Luxury hotels. Haute cuisine restaurants and organic products. 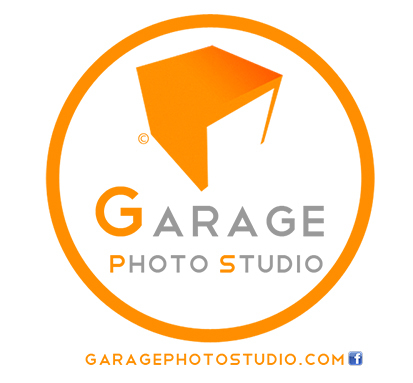 Big avenues and innovative businesses. 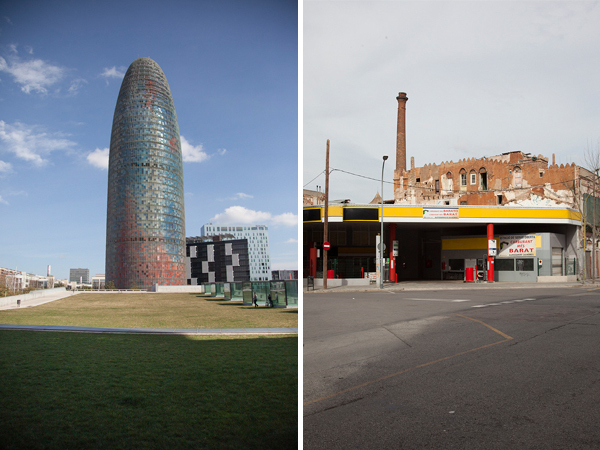 Hipsters, executives, families, bikes, trams… Welcome to Poblenou! The coolest and most eclectic neighbourhood in Barcelona. Poblenou, whose name means ‘new village’, is a unique neighbourhood of Barcelona that belongs to the Sant Martí de Provençals district. An old land of swamps and lagoons, Poblenou had its golden age at the end of the 19th century with such a big concentration of factories that it was called the ‘Catalan Manchester’. The deindustrialization caused these factories to close, leaving abandoned plants, today reconverted into artistic creation spaces. The neighbourhood was given a boost thanks to events like the ’92 Olympics, the Forum de las Culturas and the controversial project 22@. 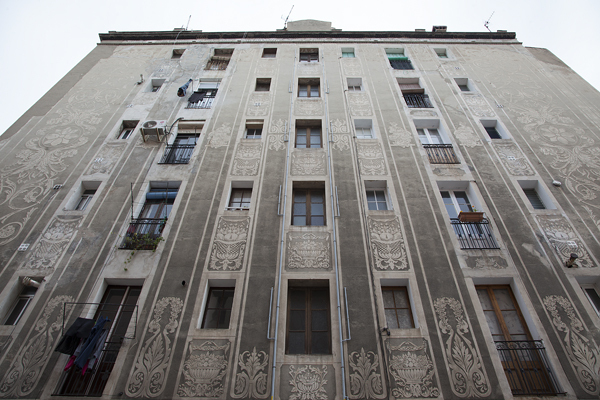 Nowadays, Poblenou is limited to the streets Bac de Roda, Avinguda Diagonal, Llacuna, Pere IV, Ávila, Badajoz, calle Bilbao and the Passatge Taulat. The neighbourhood consists of two realities, the upper part, the modern 22@ district, and the lower part, a must-see for those who want to go further into its past with a pleasant walk through its Rambla. The most fascinating tour starts at Torre Agbar, the most emblematic construction of the 22@ that received the International Highrise Award in 2006. Designed by Jean Nouvel, the tower has blue and red sheets that reflect sunlight. By night, it offers one of the most beautiful depictions of the city with its LED illuminations. 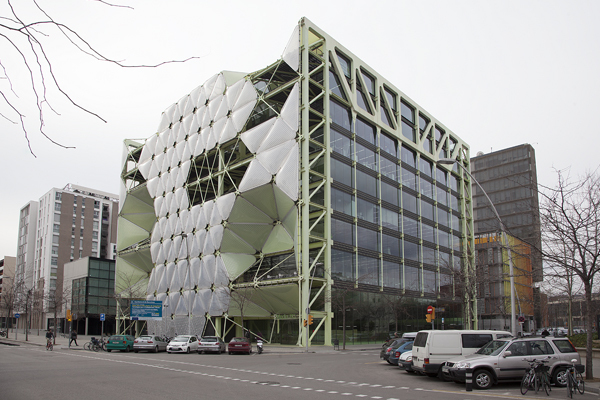 The spectacular Media-TIC, of Enric Ruiz-Geli, is perhaps the second most relevant building for its bio-climatic architecture. Also not far behind are the DHUB with its stapler shape, of MBM Arquitectes, the Can Framis Museum, undertaken by the BAAS studio, and the design by Jean Nouvel of the Parc Central de Poblenou. One of the first factory complexes devoted to artistic creation was Palo Alto. Founded by the visionary Javier Mariscal, who moved his studio to this area, it is made up of more than 30 private companies and it organizes exhibitions and temporary shows in its different aisles. A walk through its delightful garden with its emblematic chimney, a contemplation of its luxuriant walls covered with bougainvillea all the way from the cantina, or the gentle sound of its little fountain by the fish pond make up a real oasis of peace. After Palo Alto other factories would join the neighbourhood, like the Central del Circ, a space dedicated to circus art, Hangar, Nauart or La Escocesa. 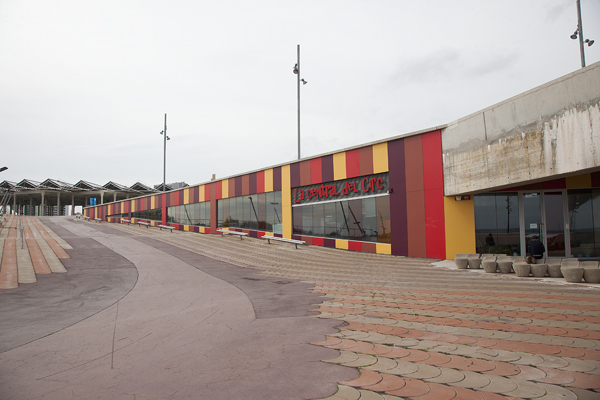 Art galleries would also appear, such as La Plataforma as well as innovative businesses from enterprisers like Jordi Mayals, committed to society. In his studio-store the Estoc you can find interesting designer furniture made with recycled material and forgotten objects. The creation studio Nyam Nyam is a fun suggestion, where each Thursday Ariadna Rodríguez and Iñaki Álvarez offer a juicy combination of art, organic cooking and culture, served in a familiar atmosphere that fosters interaction between the artist and the guests. Their offer is extremely tasty and 100% organic. And if you like urban art, you can look for the walls of international graffiti and stencil artists, such as Clet Abraham, Dr. Hofmann, Vegan Bunnies or the Pez. If you don’t want to miss them, a good idea is to sign up for a bike tour offered by Mike Frankos from Street Style Tour. deberíais haber puesto este video que creo que se puede ver bien lo que está pasando en el Poblenou.